How to Expand Your Business Without Money? If you’re thinking of expanding your business, the most important requirement is about how to fund the expansion. Should you raise funding? When to raise? How much to raise? What kind of funding, and from whom? It’s not necessary that you have to walk into a bank and take a small business loan for the maximum amount you can get. An SME or startup can now easily expand with little or no money being invested. If you don’t have C-notes to spend, focus on the four Cs mentioned below. Need office space for rent for an expansion? You don’t have to pay a deposit and large monthly rental. Make use of coworking spaces, as and when needed. For example, we often get inquiries for office space from SMEs in and outside Bangalore who are manufacturers, distributors and service providers located in industrial zones. They want a high-end office where they can meet and impress clients. That’s fine if you have sufficient resources to pay for the overheads of the expansion. But how to expand your business without money? When we get enquiries from small businesses that can’t pay for their own office at top locations across the city, we provide them the more affordable option of coworking. No deposit or rental, and pay for use by the hour or day – for desks, meeting rooms, board room, and other services as needed. So if you’re a manufacturer and you want to expand your business to include a nice office space for rent in Whitefield, all you need to do is start coworking. You won’t need any upfront investment, and you have a nice address where you can call your customers for a meeting. You get to use services and facilities such as the reception, desks, couches, and cafe for an hour or two, or by the day. If you have a meeting with clients or employees, you can book a meeting room or board room for an hour or two. When you walk out of the space, you don’t continue to pay rent or maintenance or any of the charges associated with maintaining a second office. In effect, you are expanding your business without any money being spent on the setup and operations. Want to expand your business in Bangalore? Let’s say you’ve got your office space issue sorted out. Now you’re looking for talent. If you choose the aforementioned cowork option, you’ll get all the talent you need on the desks around you, in the same coworking space and all over the building. Yomillio uses coworking space in the Evoma Business Centers across Bangalore, and we have all the help we need for everything from digital marketing to sales and interior design, all in the same building. Oh, and we get a lot of new clients in these business centers too. The best way to expand your business, whether it’s an MSME or startup, is to go online and start tapping the untapped markets of a potential location where you have lots of new prospects waiting to become your customers. Search marketing and optimization by location is really simple. If your website says business networking group, then it could be anywhere, and so could your clients. But if you say business networking group in Bangalore, and give the address and phone number (3rd Floor, Next to Dominos Pizza, Forum Neighbourhood Mall, Whitefield, Bengaluru, Karnataka 560066; Phone: +91 80 41147466), then you’re going to get more visitors and signups from Bengaluru. Get a virtual business address in each city you want to expand to. Then create such individual content pages for each city, and you have now expanded your business to multiple cities without having spent any money on office space, local employees, monthly expenses and other such costs. If you’re interested in expanding your business, and want to use coworking space, need talent without overheads, and want to tap markets in other cities, join Yomillio now. Our members have special access to cowork in our own office space, and get branding for your business through our wide online and offline reach to lakhs of your potential customers. 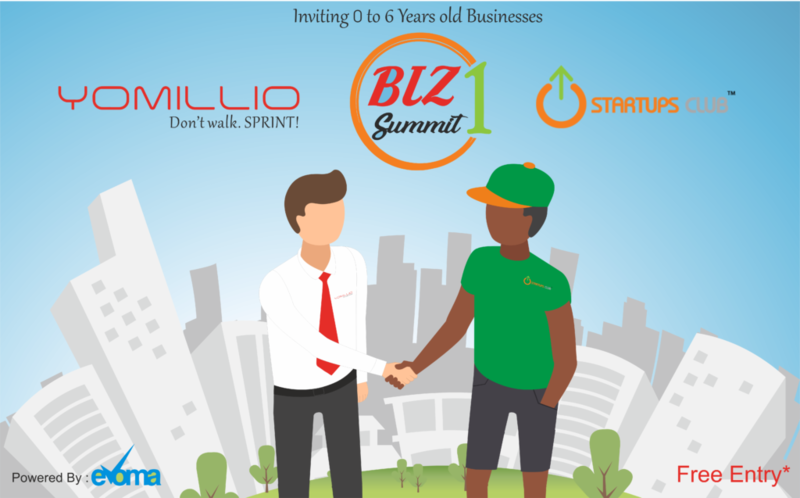 Visit us in-person for the Biz Summit on Nov 4 at Evoma OMR.